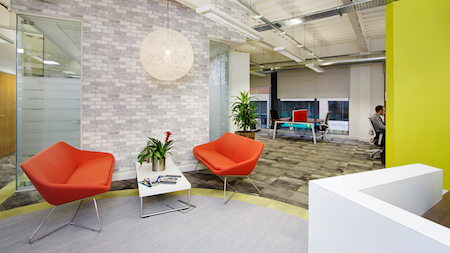 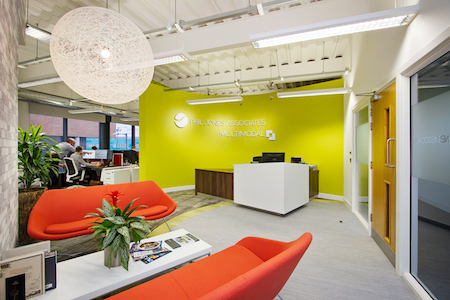 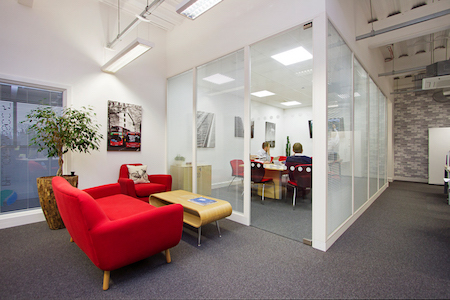 Phil Jones Associates required a complete redesign of their office environment to integrate their new business acquisition, whilst promoting their company brand throughout the work space. 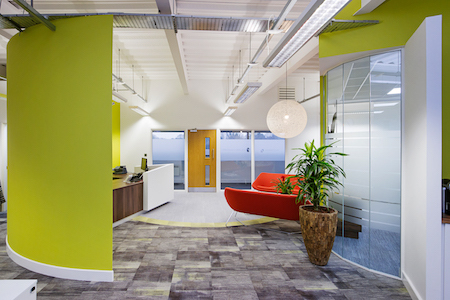 Having conducted a site survey we then worked closely with their team throughout the design process so as to fully understand their aspirations and specific requirements. 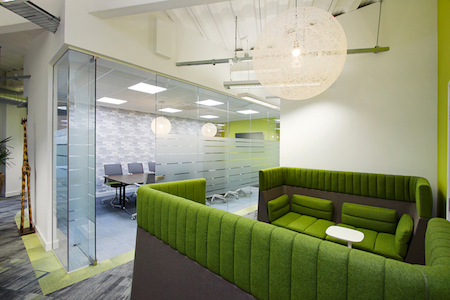 We then provided a number of 3D design renders which incorporated the company brand throughout the office, creating a clean, modern space with a flexible working environment. 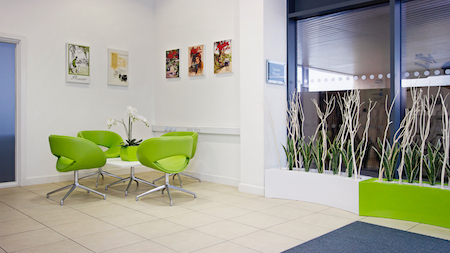 M & E and Data works, Lighting, Electrical, Partitions, Manifestations, Furnishing, Carpeting, Bespoke reception desk.